From oil changes to overhauls, no job is too big or too small for the Burlington Volkswagen service staff. We’re here to keep your Volkswagen running like new for long after you’ve driven it home for the first time as a proud owner. We can perform any auto repair under the sun on your VW vehicle at Burlington Volkswagen. We strive to make car service stress free and competitively priced at our dealership near Cherry Hill, New Jersey. As bold of a claim as this may be, it’s one that we stand by fully. 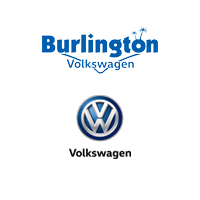 Every technician at Burlington VW is specifically trained to know what makes your Passat, Golf GTI, Golf SportWagen, Jetta or Beetle tick under the hood. That means you can count on getting the right work done, with the right auto parts, at the right time. Ready to put Burlington VW’s repair center to work for you? Fill out our contact form online, give us a call us at 609-534-7994 to schedule an appointment, or visit our Volkswagen dealership and we’ll get you fixed up. What Separates Us From Other Dealers Facilities? What separates us from other dealers and repair facilities? We are your Burlington, Cherry Hill, Hamilton,Langhorne,Bristol and Philadelphia VW approved service center. TIRES-CHECK ENGINE LIGHTS WOW WE MEET OR BEAT ANY ADVERTISED TIRE QUOTE AND WE HAVE FREE CHECK ENGINE LIGHT SCAN !!!! Dealers within 30 mile radius close before we do during the week and on Saturdays and some are not open on Saturdays. VW Master and ASE Master Technicians on staff. Most don’t have them. Most up to date technology to repair your vehicle. Competitive pricing compared to VW dealers and to off brand repair facilities. Convenient and comfortable waiting area. Trained service consultants that know your vehicle and can make the right decisions on how to have your vehicle repaired. Certified Phaeton and Routan technicians on staff.